Abbey Metal Finishing Co Ltd. - Bloodhound: Superwheels for Supersonic Car are ready to Spin! Bloodhound: Superwheels for Supersonic Car are ready to Spin! Nearly nine years ago Project Bloodhound commenced. The project’s primary objective was to build a car that would break the world land speed record. We were proud to be selected as part of the industrial consortium working on the project. 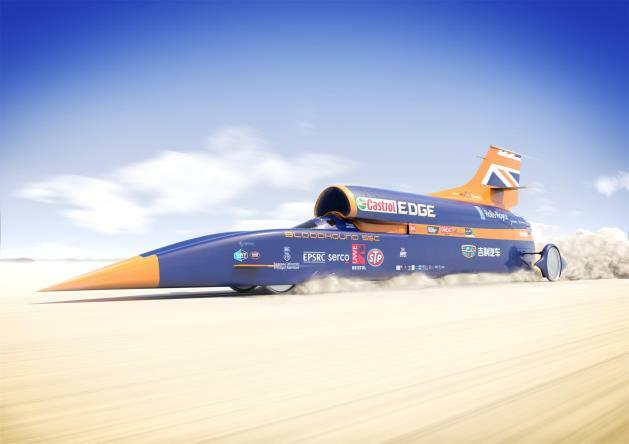 The Bloodhound supersonic car will endeavour to the break the world land speed record, 763mph in October 2017 in South Africa. The project’s objective was not only to achieve the first 1,000 mph record on land but also to promote the fields of science, technology, engineering and maths, to create an iconic project that requires extreme research and technology and to generate substantial and enduring media exposure for sponsors. Big names were involved in the development of the Bloodhound; the British Army, Roll-Royce, Jaguar, Castrol and Rolex. We worked closely with a number of other high tech engineering firms to create the wheels for the Bloodhound that will spin at 10,200 rpm equivalent to 170 times per second.